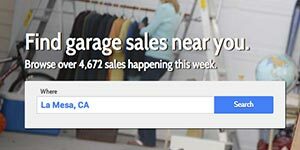 Find garage sales, save them to your favorites list, get directions and start shopping. It really is that simple! 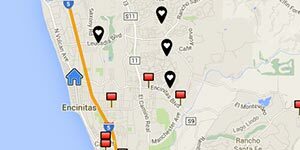 Use the city search box above or on our home page to find your city garage sale map. 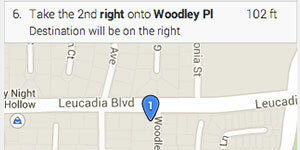 All of our sales are conveniently listed to the right of the map. Click the titles to view the sale on the map. Click "Details" button to view the full listing with dates, times and photos. When you find a sale that want to attend, click the "Favorite" button. This will add it to your favorites list of sales. Print Directions & Start Shopping! When you are done adding sales, click the "View Route & Directions" button at the top of the favorites list. 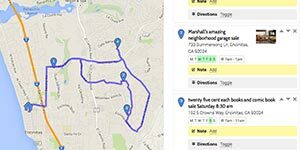 You will get turn-by-turn directions from one sale to the next. Have fun shopping!